What is the ICAO code and callsign for Amazon Prime planes? Looks like Amazon started flying its own planes to transport goods - check out the announcement here. Apparently they've been flying since at least August 2016, and I just found out about it now, lol. Anyone know what their three letter ICAO code and their callsign is? Edit: Looks like CNBC confirms that Atlas Air operates flights for Amazon in this crash. There may be others. As best I can tell, Amazon Air does not hold its own air carrier certificate; they contract with cargo airlines to operate their flights. Per Wikipedia, those contractors are Air Transport International, ABX Air, and Atlas Air. These operators then use their own callsigns. For example, the aircraft shown in your first link, N1997A ("Amazon One"), is apparently owned by Titan Aviation, dry leased to Amazon Air, and then operated by a Titan sister company: Atlas Air. The aircraft bears the legend "Operated by Atlas Air Inc" on the paint job. So for the flight it happens to be flying to Charlotte at this moment, it would be identified as GIANT 3581, "Giant" being the codesign for all of Atlas' operations. But another aircraft in their fleet, N331AZ, is contracted to Air Transport International, and uses the creative callsign "AIR TRANSPORT." So they don't have an ICAO code or callsign; the companies they hire to operate their flights do. 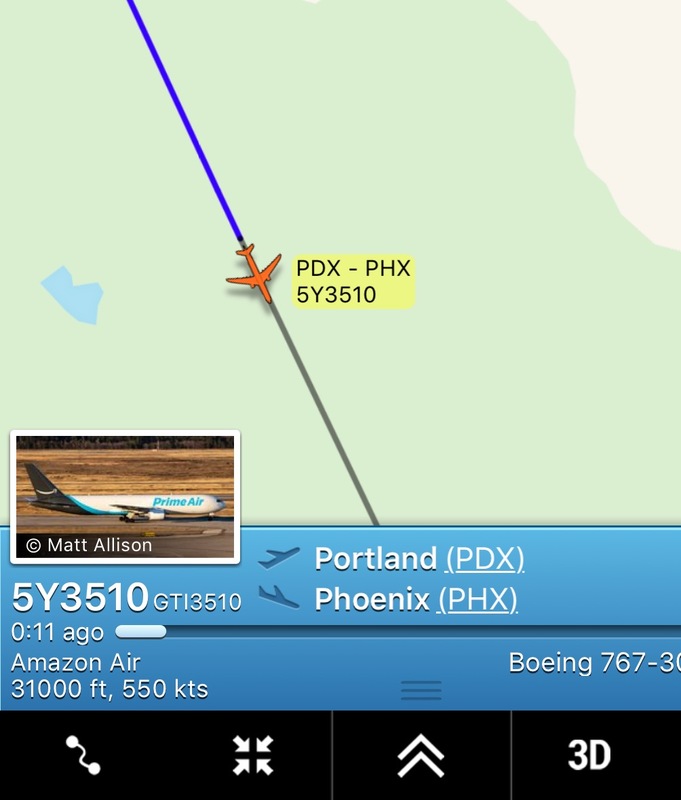 I was listening to PDX tower and watching flights on FlightRadar24 one night when I heard the tower and then departure talking to a commercial jet with a very strange (to me) call sign (Giant, I'm pretty sure). FlightRadar identified the aircraft (same flight number) as an Amazon 767. I found the same flight on the app tonight by searching out Atlas Air and the photo link (via reg number) shows the Prime livery. So it sounds like just about everyone here is right in some sense. Not the answer you're looking for? Browse other questions tagged call-sign or ask your own question. What are the guidelines for call signs for aircraft dealing with US ATC? What would they call the US President's personal plane? What callsign should an ultralight use? What does it mean for a ATC to say a flight's callsign followed by “in disguise”? Who defines the callsign for radio communication?